This easy Mexican rice recipe uses jarred salsa as a quick but super tasty short cut. 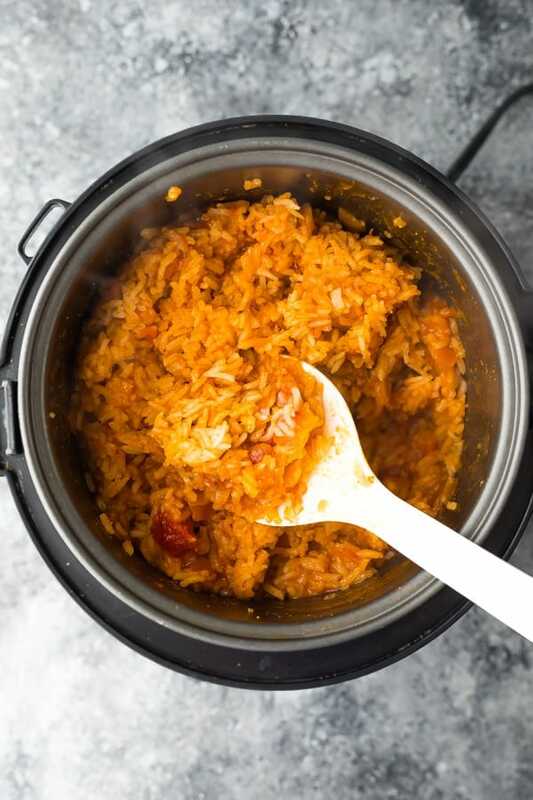 Instructions on how to make this Mexican rice recipe in a rice cooker or on the stove top! 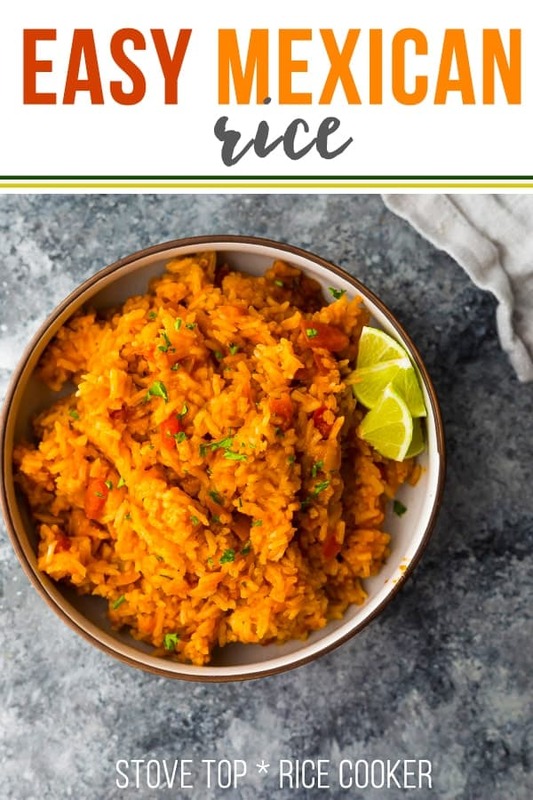 I’m on a mission to kick our boring rice habit, and this easy Mexican rice recipe is definitely not boring! If you’ve ever made traditional Mexican rice, you will know there are a lot of ingredients, chopping, sauteeing etc. And that is awesome if you have time to do all of that (maybe for a Sunday night dinner? ), but if you are like me, you need something quick and easy or it ain’t gonna happen. 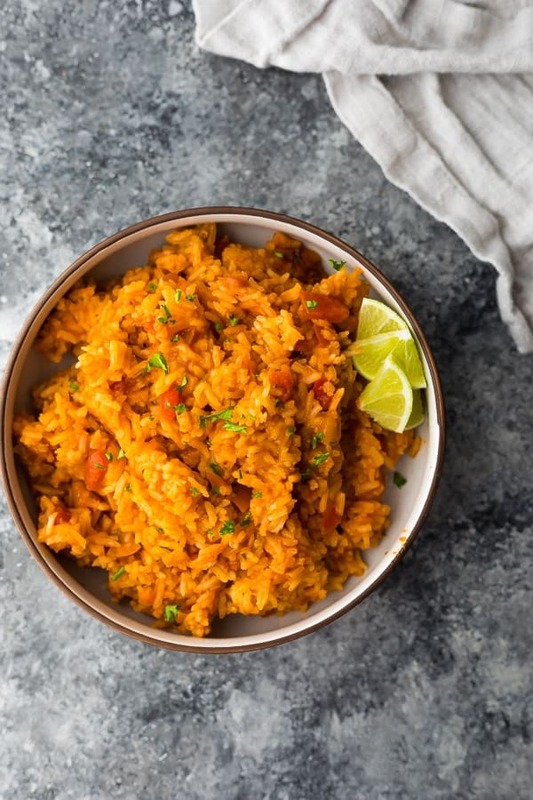 Enter this not-so-traditional Mexican rice recipe…which uses jarred salsa as a short cut! The jarred salsa infuses the rice with a ton of flavor, but cuts the prep time down to almost nothing. 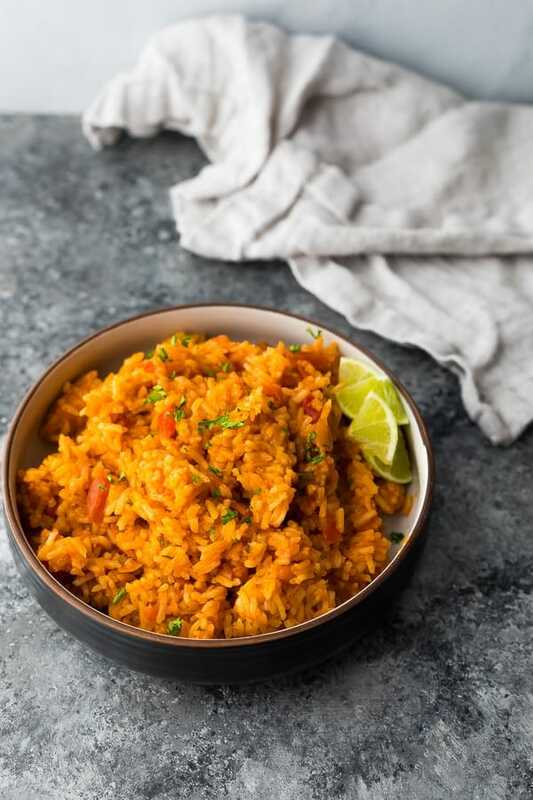 And since we don’t need to sautee anything, you can cook this Mexican rice recipe in a rice cooker or on the stove top. Hurray! 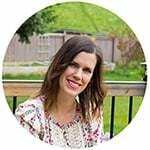 Looking for rice recipes? Check out this post with 7 Easy Rice Recipes!
) or in a pot. Rinse rice under the tap using a colander. Honestly? I skip this half the time. But for the fluffiest rice, I recommend rinsing. Cook! If you are using a rice cooker, just press the ‘white rice’ button. If you are using the stove top method, bring to a boil, reduce the heat and simmer (covered) for 15 minutes. Remove from heat and let stand (covered) for another 10 minutes before fluffing with a fork. Can I use jasmine rice in this recipe? Brown rice? Any other rice? Mexican rice is best with a long grain white rice such as jasmine or basmati, but this particular recipe has only been tested with basmati. It should work as written for jasmine as well. Brown rice *may* work, but you will need to increase the cook time as indicated on the package. Par-boiled/pre-cooked rice won’t work in this recipe. !). Some people add a little bit of water when re-heating freeze/thawed rice, as it does end up slightly dryer than fresh rice. Can I cook this recipe in the Instant Pot? I have not tried. 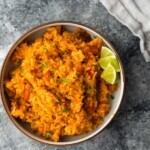 I would refer to this recipe for Instant Pot Mexican Rice. What goes well with this easy Mexican rice? In a medium pot, combine the basmati rice and all other ingredients. Cover and bring to a boil; reduce heat and simmer (covered) for 15 minutes. Remove from heat and let sit for another 10 minutes before serving. 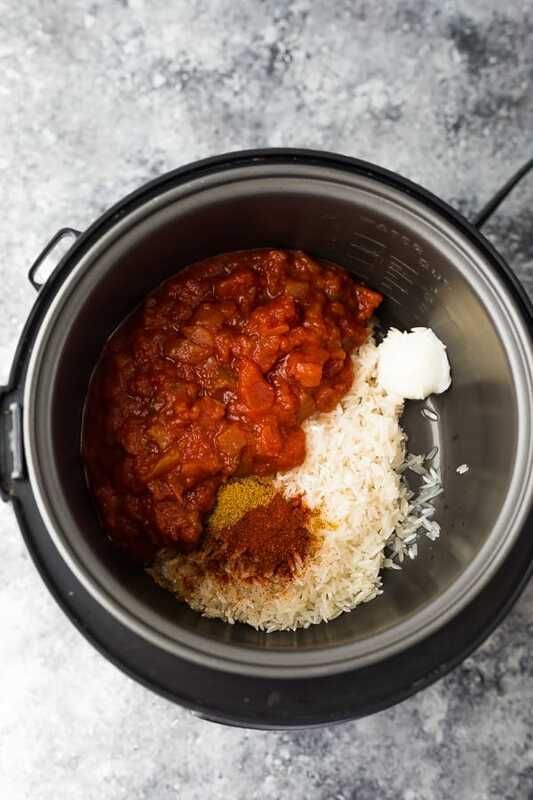 Combine the basmati rice and all other ingredients in the rice cooker base. Cook using the 'white rice' function (or regular function if there is not a white rice option). So step 1 says combine rice with ‘all other ingredients.’ Assuming most people follow recipes one step at a time, I’m going to combine all the ingredients in the list. Except there are no ingredients marked ‘after cooking.’ So now I have absolutely no idea how this will turn out.